The pictures to the right are the custom throw pillows that I had made last year. 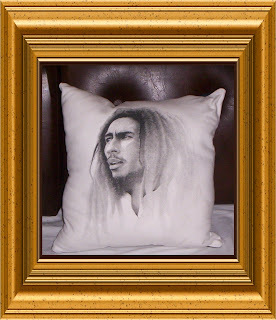 Of course these are completely sold out but in January 2008 3 Piece will reintroduce the custom throw pillow line from last year. This time our pillows will be a lot funkier. 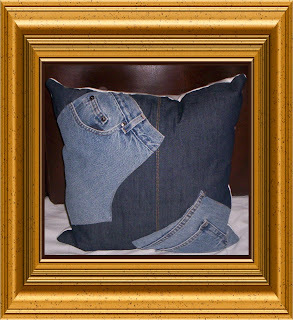 Our custom throw pillows will use old t-shirts for the front and old jeans for the back of the throw pillow. It is designed to be reflective of the funky people who love 3 Piece.